Slate roofing has a reputation as one of the most attractive and longest wearing roofing materials available. Challenging installation and high cost coupled with fragility limits its suitability in certain applications. As a natural stone product, it has an innate beauty and permanence not found in other roofing materials. Available in a number of quarries throughout Canada and the United States – it comes various colours and thickness. Reds, blacks, greys, purples, greens and multi-coloured tiles are found in slate quarries from Newfoundland to Vermont. 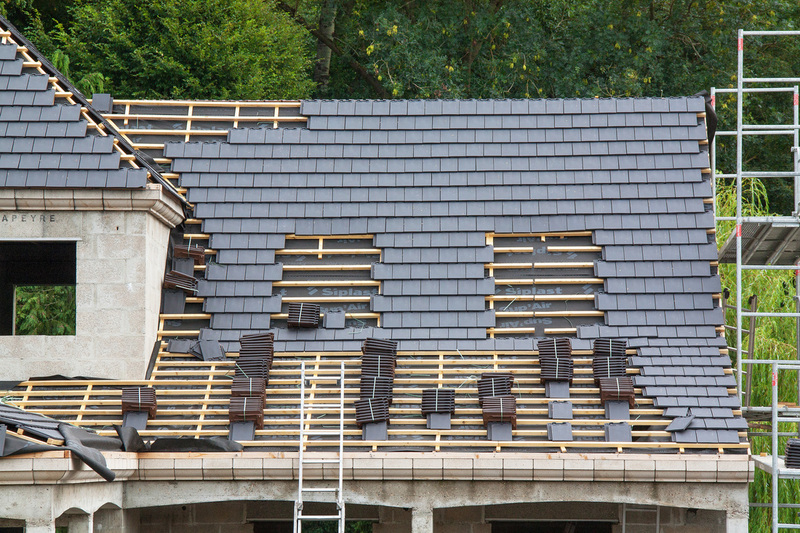 Slate roofing can be expected to last upwards of 100 years or more. The slate roof on the Empress Hotel in Victoria , BC was only recently replaced after being initially installed in 1908. One of the most fire resistant roofing materials available makes it a less prone to catching fire from airborne sparks or cinders from neighboring homes or wildfires. Very few roofing contractors are qualified to install slate roofing. A poorly installed slate roof can create very serious problems that may not show up right away and cost thousands of dollars to repair later. 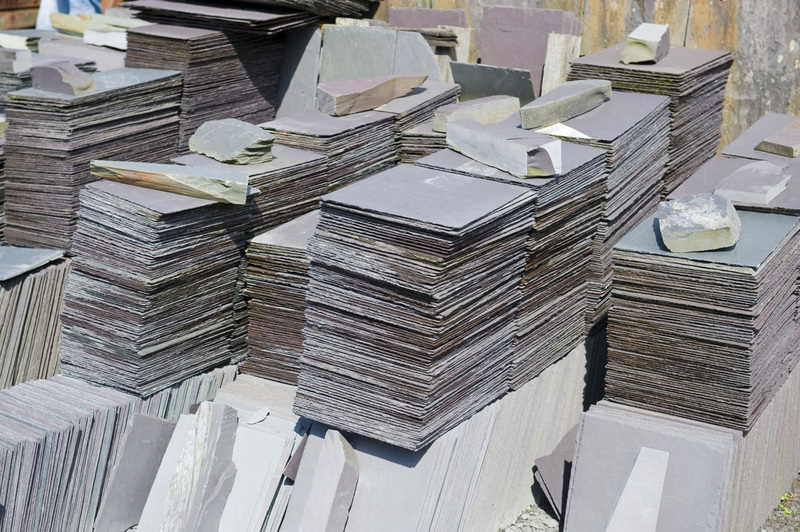 The weight of slate can add anywhere from 800 - 1500 pounds per 100 square feet to a roof. Imperative that the roof be evaluated by a structural engineer prior to installation to ensure that it can withstand the increased load. While slate can last upwards of 100 years or more – it can be extremely fragile. Tradesman who require access to the roof to repair or replace satellite dishes, air conditioning, replace eaves trough, clean gutters or solar panels may inadvertently break slate tiles if they are not properly trained in walking on a slate roof. Because of variations in slate colours, it can sometimes be very difficult to match the proper shade if a replacement tile is required. Slate can also cost 3 to 4 times the amount of other roofing options but perhaps the additional cost can be justified if it is the last roof you will ever need. Real slate roofs have been around for hundreds of years. Newer technologies and roofing materials have been introduced to the market in recent years that are manufactured to look like real slate. That's Right! Even Asphalt Shingles Are Now Available To Imitate Slate.